Portugal will always appeal to Brits who are looking to invest in overseas property as it offers great beaches and there is wide availability of cheap flights. Such is the claim of managing director at BuyAbroad.com John Reilly, who also notes that the country is seen as an upmarket destination. Before buying a property abroad, Brits may want to change their travel insurance policy to make sure that frequent trips to visit their new holiday pad will be covered. 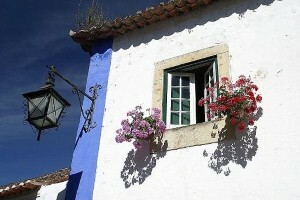 Mr Reilly pointed out that the Algarve in particular could offer Brits a number of bargain holiday homes. As well as this, property in the "previously unaffordable" destination of Vilamoura may now be within people's price range. Statistics from homesoverseas.co.uk recently showed that Portugal is still the most searched for destination for foreign homes on the site. The second most searched for is Spain, followed by Italy, Greece and then Turkey. No matter where Brits choose to splash their cash, holiday insurance to cover the financial cost of any problems on a break may be a wise investment alongside the property spend. At World First we offer cover for all types of trips. Whether you are buying a property abroad or going on a holiday. Hazardous sports or lazing on the beach. Pre-existing conditions can be covered often for no additional premium.